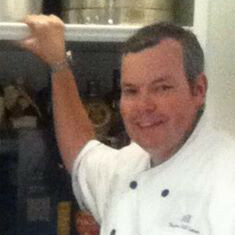 We have been doing work for Chef Peter Cooke for many years already, even before CurvePress existed. Peter’s website is Need A Chef. Bob I want to be your first online student for CurvePress. Do you know the date it will be up I want to include in my book as well as site! I was telling my wife, Rosalie, how cutting edge this is. I am glad to have you as a mentor! From Bob… all I can say is thank you so much, Peter, and I have always enjoyed working with you over the years!